Home Anna Hazare Anna Hazare's Official Blog, Twitter Account and Facebook Fanpage. 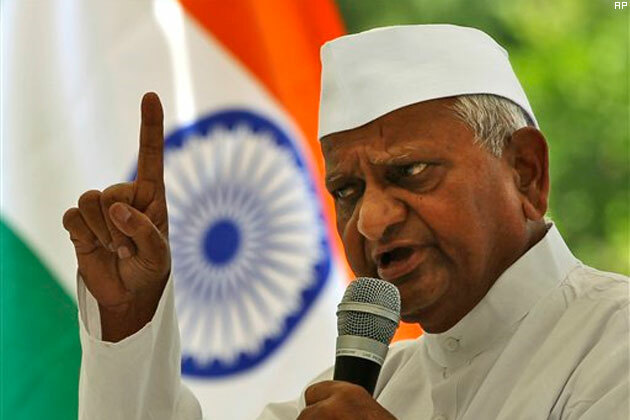 Anna Hazare's Official Blog, Twitter Account and Facebook Fanpage. Social activist Anna Hazare has finally decided to use Social media as a tool to spread his thoughts and views and gain support for his fight against corruption. Here is a list of Anna Hazare's his official twitter, Facebook and blog ids. There have been numerous fake accounts of Anna Hazare but here is a list of official Social Media handles of Anna Hazare. It is newly created hence has very few followers. I am sure it will be verified sooner. Anna Hazare has finally started using blogging as a mechanism to reach the educated youth of India in India and around the world. Here he is expected to express all his views and mostly next course of action. 3. Facebook: Will update soon. Let's spread this information to stay in touch with Anna's Gandhi Ideology.